During a Webinar on the afternoon of Monday 04 June 2018 the FA notified the League that, unlike in previous seasons when the League entered/updated Team Administrators and submitters of results by SMS onto Full Time, this was now to be the responsibility of clubs via the WGS System and the League will no longer be able to do it. This change will come into effect as soon as the League have told the ECFA that they are ready to go live with season 2018/19 which will happen within the next 10 days. You are therefore strongly advised to return your Full Time form to Peter Godfrey by the 15 June 2018 so that he can update your Team Administrators and submitters of results by SMS prior to us going live with season 2018/19. When submitting the details of new people, you must include their date of birth or they cannot be registered on the WGS system. Unfortunately clubs that have additional teams in our League will have to upload the names, D.O.B. and mobile phone number of new submitters of SMS for the new team themselves after season 2018/19 goes live. Any new clubs will also have to upload details of people in categories 1 to 3 themselves once season 2018/19 goes live. It is probable that the next time you log-in to Full Time you will be asked to tick a box agreeing to the conditions, and enter your D.O.B. 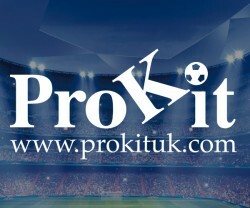 After we go live clubs will also be required to remove any people currently registered as Team Administrators or submitters of results who no longer carry out this role and do nothing else that requires their registration on WGS or Full Time. This is a GDPR requirement. More information, in the form of a guide, will be uploaded to the website as soon as possible.